Addressing Mental Health Concerns in Primary Care: A Clinician's Toolkit is a resource designed to help primary care clinicians in implementing algorithms to help guidance in enhancing mental health care. Addressing Mental Health Concerns in Primary Care brings together a myriad of ready-to-use resources and tools on one instant-access CD-ROM. Look here for screening and assessment instruments...quick-reference care management advice...step-by-step care plans...time-saving documentation and referral tools...coding aids...billing and payment tips...parent handouts...community resource guides...and much more. Algorithm-based guidance, indexed to CPT codes, outlines a process for care and billing. Succinct clinical tools provide step-by-step decision support for assessment and care of children with the most common mental health symptoms: anxiety, depression, disruptive behavior and aggression, inattention and impulsivity, substance use, learning difficulties, and social-emotional problems in young children. Tools and resources can be printed and distributed as needed. Many will be continuously refreshed through Web-based updates. This toolkit is intended to enhance the quality of mental health care children and adolescents receive, whether in the medical home itself or through the medical home. This resource from the American Academy of Pediatrics on caring for children with mental health problems provides information and education that is critical and, frankly lacking in most primary care settings. The computer-based format makes it easy to access and use. 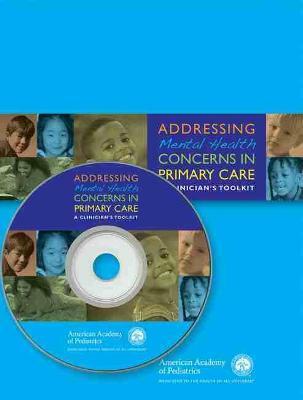 This resource was created to help any primary care provider who works with children or adolescents, including physicians, residents, and nurse practitioners. The toolkit provides a number of useful materials including pamphlets, flow charts, and most importantly, the CD which provides extensive information and resources. Various algorithms are available for use to help providers in not only the assessment of mental health problems but also in helping provide services through protocols and creation of referral databases. The purpose of the toolkit is to enhance the mental health specialty care provided to children and adolescents. This is an essential resource that was created in response to a critical need. Primary care providers must be capable of recognizing and appropriately managing mental health problems in children and adolescents.